JEFFERSON COUNTY, Tenn. -- Two escaped Tennessee inmates were captured 140 miles away in Georgia, according to Jefferson County Sheriff G.W. McCoig, CBS affiliate WVLT reports. They were captured in north Georgia late Friday after leading Tennessee troopers on a chase in a stolen flatbed 18-wheeler. WSB-TV reports. Georgia State Patrol took over the pursuit when it crossed the state line on Interstate 75 in Whitfield County. It ended south of Dalton where troopers used stop sticks to blow out the tires. Twenty-seven-year-old Matthew Robert Porter, 24-year-old Adam Quinn Lethco and two others escaped from a Jefferson County jail earlier Friday. According to McCoig, deputies were treating Adam Lethco who hurt his hand while on work detail at the Jefferson County Work House in Dandridge just after midnight. After officials iced and wrapped Lethco’s hand and left the cell, Lethco and three other inmates assaulted the deputies, took their keys, and escaped in a black 1982 Chevy owned by one of the deputies. A volunteer fireman later spotted the vehicle, abandoned, on Walnut Grove Road in Sevierville. Sevier County deputies were able to arrest Jimmy Moore, 22. Around 3:45 a.m., deputies from both counties arrested Richard Lorenz, 26; he and Moore were taken back to the jail and charged with aggravated assault on an officer and escape. Lethco is serving an eight-year sentence for aggravated burglary, theft, and vehicle theft. Porter is serving one year of a six-year sentence for reckless endangerment and evading arrest, and is also wanted in Alabama on a 12-year sentence for violation of probation. 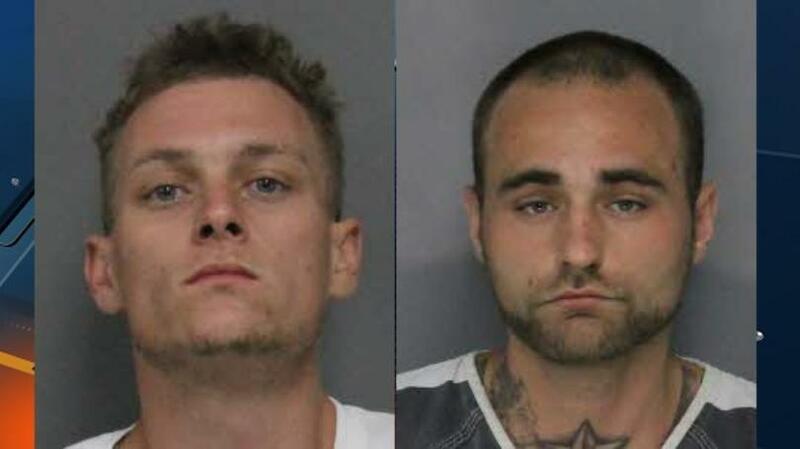 The Sevierville Police Department believes that two white male suspects involved in an attempted armed robbery at EZ Stop on 851 Dolly Parton Parkway could be connected to the escaped inmates. Officers responded to the robbery call at 5 a.m. Friday morning.